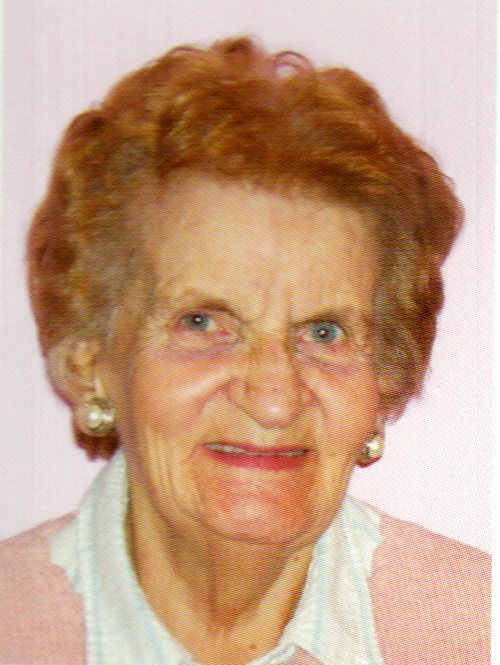 After having lived a joyous life, our cherished mother passed away in her ninety-third year surrounded by her family. Loving mother of Suzanne (Brian Cotter) of Toronto, Adèle of Welland, André (Christine) of Welland, and Jean-Pierre (Maria) of Marcelova, Slovakia. Henriette is lovingly remembered by her grandchildren: David, Elise and Caroline of Toronto, Tyler (Olivia) of Laholm, Sweden, Spencer, Rachelle (James), Nicole and Cameron of Welland, Andris of Manchester, England, Peter of Budapest, Hungary, and great-grandchildren Anica and Max. Henriette was predeceased by her husband André (1998), brothers Robert, Aurèle, Gérald and her sister Rollande Belair. She is survived by her brother Joseph Bédard of North Bay, Ontario. Henriette lived most of her life in Welland where she enjoyed a long and fulfilling career in teaching. She loved art and music, combining those two passions to create an illustrated French songbook for children, Chansonnettes. Her greatest enjoyment was spending time with her family. The family is grateful for the care she received at the Welland County General Hospital. A special thanks for the compassion shown by the sixth-floor nursing staff. The family will receive relatives and friends at the WELLAND FUNERAL HOME, 827 East Main Street, Welland on Monday, January 21, 2019 from 2-4 and 6-8 p.m. Funeral mass will be held on Tuesday, January 22, 2019 at Paroisse Sacré-Coeur at 11a.m. A private interment will follow at Pleasantview Cemetery at a later time.